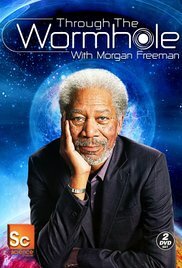 Through the Wormhole with Morgan Freeman (♦♦♦♦♦): in Season 1 (2010) of this utterly addictive series from the Science Channel, the latest theories and discoveries in science are explained in layman's terms. We are explained about the nature of Black Holes, if time travel is possible, if there is a creator and the nature of belief, what lies in the darkness of the universe, etc. Wonderfully explained by scientists in every branch of scientific knowledge, Through the Wormhole is a condensed way to attend college lectures without the stress of preparing for exams and making it to classes on time. 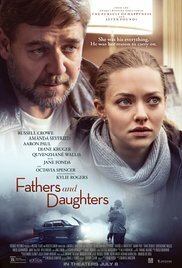 Fathers and Daughters (♦♦♦♦): Pulitzer-winning author Jake Davis loses his wife in the car accident in which he receives brain trauma. Struggling with a deteriorating mental illness, he checks in for treatment at a hospital for seven months, leaving his daughter Katie in the care of his sister-in-law's family. Only after Jake comes back to pick up Katie, their extended family tell him that it's best for her if she stays with them. Managing seizures and manic psychotic episodes while raising his daughter isn't ideal, but they make do. Twenty five years later, Katie, as an adult, has problems connecting to people on an emotional level. This movie is drama heaven. Gorgeous musical score, and beautifully acted by the top notch ensemble cast, but especially by Russell Crowe—in his best performance since the overlooked American Gangster—, and Amanda Seyfried—her performance so emotionally wrenching that is on par with her portrayal of Linda Lovelace in Lovelace, her best yet. This is easily one of the best movies I have seen so far this year. Not to be missed! 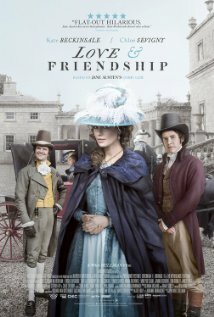 Love and Friendship (♦♦♦♦): Lady Susan is a flirtatious and cunning, young widow with something of a reputation for playing men like fiddles. Since she is virtually penniless, she stays for long periods at the estates of distant relatives and friends, hoping that she will make the acquaintance of a well off suitor who is willing to marry her. Her daughter has an idiotic, wealthy suitor, but she thinks she can do better, or that teaching is a preferable way to make a living. This film is adapted from Jane Austen's novella Lady Susan. When it started I thought it was going to be a boring period drama starring Kate Beckinsale who is not exactly known for these roles. I rolled my eyes too early perhaps. Love and Friendship is acutely funny, thanks mostly to Beckinsale as Lady Susan, who caused such complications and had all men wrapped around her index finger. Cunning was the name of the game and she was a master at it, in fact, it seems almost everyone had trouble keeping up with her. 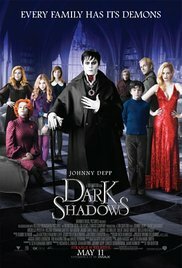 Dark Shadows (♦♦♦½): Barnabas Collins refused the love of a lady in the 1700s, and was forever cursed. He became a vampire. An angry mob chained and buried for two centuries, until he was accidentally found and freed in 1972. What else to do but help his descendants regain their fortunes while battling it out with his old flame? I enjoyed this Tim Burton film, though I have to say it's not for everyone. There are quirky vampires, family curses, a strange mixture of the old and the contemporary. Dark Shadows is an adaptation of a TV series from the 1970s, and I had a blast watching it. Eva Green (Miss Vanessa Ives of Penny Dreadful fame), more or less reprised this role in Penny Dreadful. With the right dose of spooky and the supernatural, and vibrant music from the 1970s, Dark Shadows is fun, better enjoyed on Halloween. Addictive is certainly the right word of "Through the Wormhole." Fascinating series. "Dark Shadows" was a popular soap opera when I was in college mumble, mumble years ago and I remember rushing back to the dorm to watch it. We all loved Barnabas. I haven't seen the movie. I'm hooked on Through the Wormhole lately. I'm about to finish season 2. I liked the movie a good deal, but I know it's not for everyone. Some people cannot take too much Tim Burton without complaining. I thought Dark Shadows was very funny :-D I haven't heard of Love and Friendship but it sounds like my kind of thing. However I did see Kate Beckinsale in the BBC's 1996 adaptation of Jane Austen's Emma. Love and Friendship is your kind of thing. It has also been released in Europe as Lady Susan, I think, so maybe you have seen it under that name? Initially I thought Beckinsale wasn't going to be a good cast choice, but she was brilliant. I put Fathers & Daughters in the Netflix queue. Considering Love and Friendship. Fathers and Daughters was very good, and I had a really good time watching Love and Friendship; it's very funny. I've got to see Through the Wormhole! Looks very interesting! Thanks for visiting, Glenna. Through the Wormhole is pretty fascinating stuff, you should check it out for sure. Okay you sold me on Fathers & Daughters. I will look for it on Netflix.